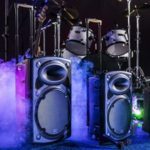 The Pros and Cons of this PRORECK Club 3000 PA Speaker System. 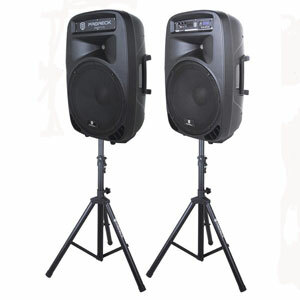 Some users are happy with the design and specification of this PRORECK Club 3000 PA Speaker System in the right situation. 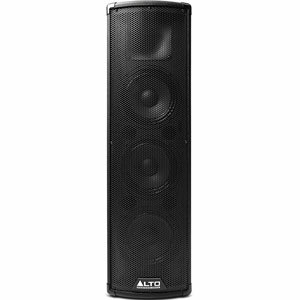 There are some great reviews from users that use this system as part of their home entertainment set up. This application is also where those Bluetooth connections come in handy. Some people will try and use the wireless capabilities for playlists during DJ sets. As you will see from some of the drawbacks below, this does have its limitations. However, there are users that can connect the PRORECK PA system up to Alexa with no problem at all. This means greater control of playback options in that upgraded home entertainment system. One of the other benefits in this situation is the way that user can raise the speakers on the adjustable mounting hardware. This helps to project the sound a little further. There are also some users that took the time to play with the different dials and settings to get the precise sound that they need. This isn’t something that all buyers will have the patience for. 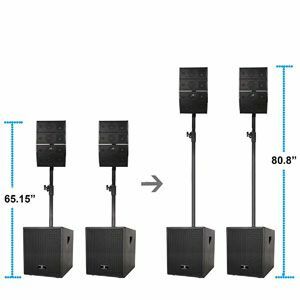 These results show that there is a great PA system in here with great potential in the right set-up. However, some buyers just don’t get to this point out of frustration with the initial results and sound quality. Why is sound quality such an issue with this PRORECK PA Speaker System and what other flaws should buyers be aware of. There are some major issues with the output on this sound system. There are some buyers that purchased this expecting it to have the power output for a large room. Many did instead find that the system struggled once they turned up the volume to fill the space. There is some humming and distortion that is usually associated with a lower-end product. Others were disappointed by the sound quality more generally, with some comments that the bass isn’t as punchy as they had hoped. Elsewhere, there are some warnings about the accessories. The term “adequate accessories” is used in the product description. This originally looks like a poor choice of words in the translation to English. However, user reviews suggest this is actually accurate as the cables and remote are just about adequate for the job. This all leads to some questions about the value of this sets up. There is a high price tag here based on the apparent power of the system, the design and the extra features. These issues suggest that the system may actually be overpriced. 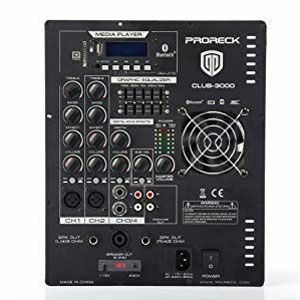 What does this all mean for a final verdict on this PRORECK Club 3000 System? 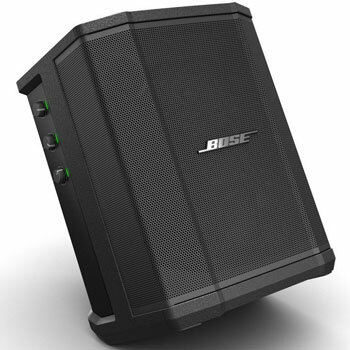 There are some buyers that feel a little cheated by this PA sound system. They saw the specifications and sales photos and expected something with more power and an interesting sound. Instead, too many found the upper limit of clarity and volume far too quickly. This doesn’t mean that this won’t have its uses for some situations. There are some clear advantages in the design of the mounting pole, the controls for the different settings and the wireless capabilities. There is no doubt that this PRORECK PA System will help many people transform a home entertainment system – just don’t try and set it up in a large room for big parties. 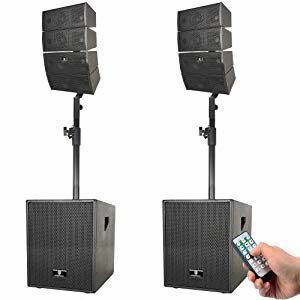 Find more reviews about the PRORECK Club 3000 PA Speaker System on Amazon here.